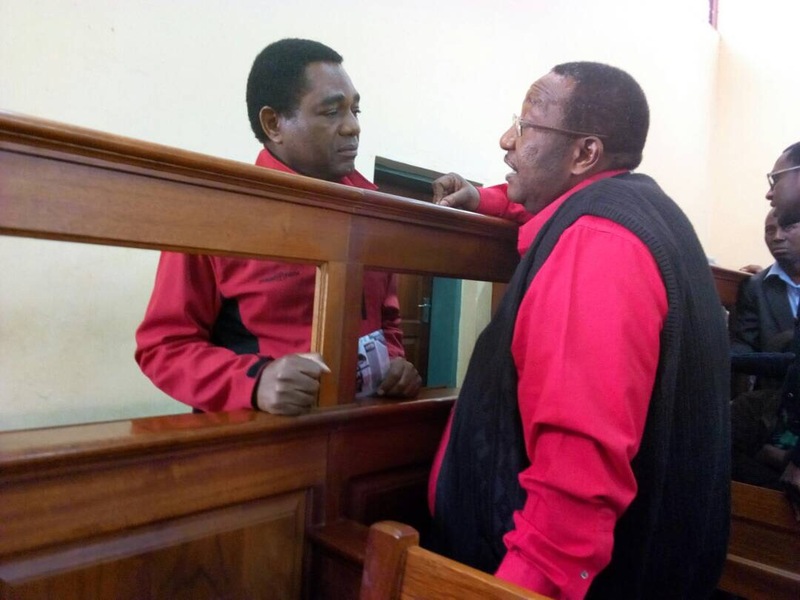 Prosecutors have applied that Hakainde Hichilema treason proceedings in the High Court be stopped until his “right to bail” petition in the Constitutional Court is resolved. The High Court then reserved ruling to Friday, meaning that Judge Betty Mungomba will only decide on Friday whether to proceed with the case in which HH’s lawyers want the treason charges quashed. Last week, HH filed two separate petitions in the High Court and ConCourt asking them to strike off provisions of the law which bar courts from granting bail to suspects charged with murder, treason, aggravated robbery and other capital offenses. The two petitions are separate, the one in the High Court seeks to quash the indictment while the one in the constitutional court is general and seeks to remove from the penal code restrictions on judges to grant bail to people accused of treason, aggravated robbery and murder. Chief State Prosecutor Joel Simachela applied to stop proceedings in the High Court due to what he called duplicity of a similar matter filed in the Constitutional Court and abuse of the court process.